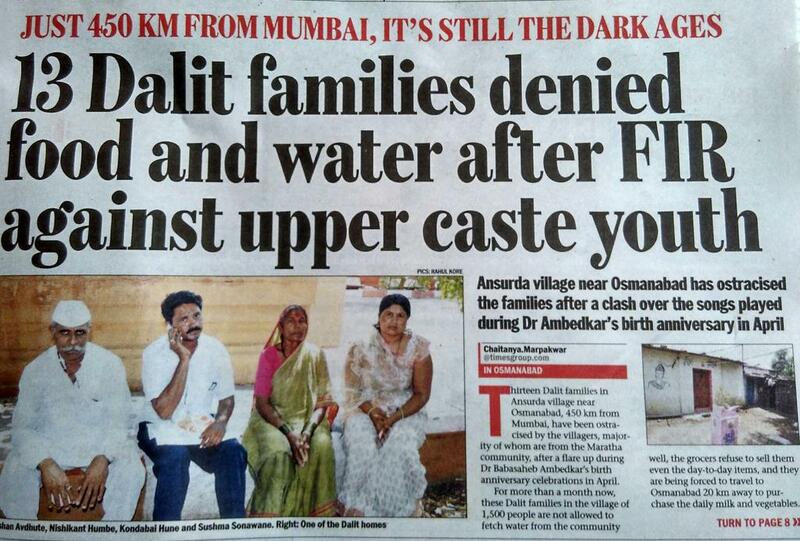 Dalit Families Denied food and water-It happens only in India!!! 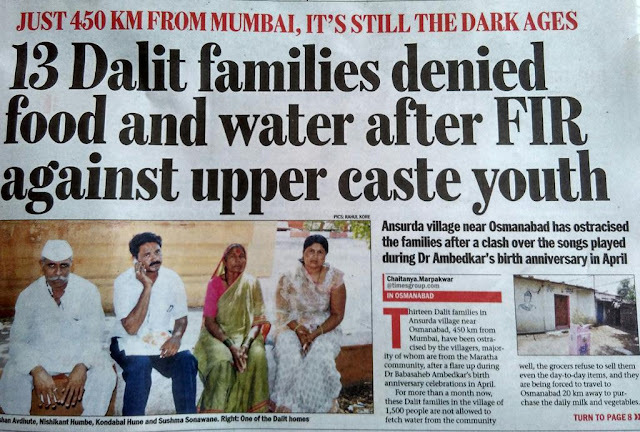 The atrocities against dalits in Maharastra are on the rise. Especially the BJP led governments have taken charges in the centre and state. This newspaper clips is one of the examples for that.